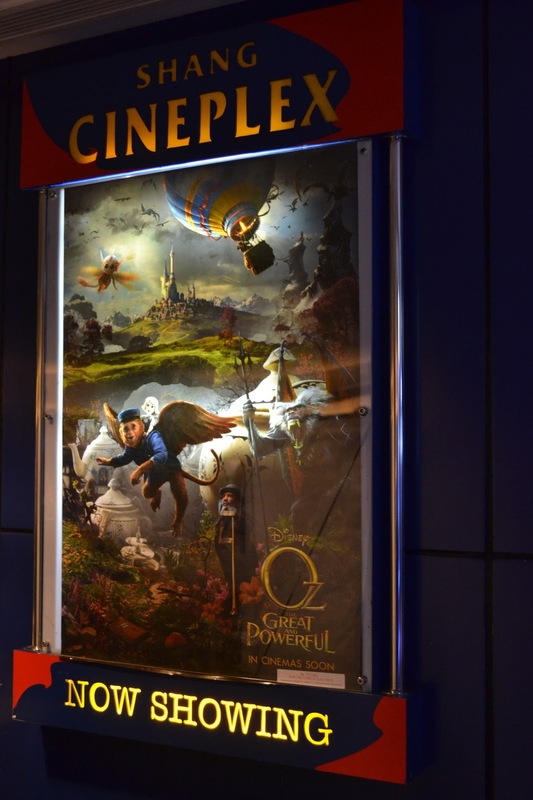 I was one of the Nuffies (Nuffnangers) who was privileged to watch the special screening of Oz, The Great and Powerful last night at Shang Cineplex. I got four tickets, so even on a late weekday night, I tagged along my two daughters for this RATED G movie date. It's a Disney movie and my daughters were the ones who affirmed of going to see it on a big screen. I love all Disney movies. As expected, the movie is full of unimaginative and colorful scenes. At times, I can only hear a few people reaction to the scenes where I am most amazed. I believe these moviegoers are high critics and want to make a movie review seriously. There are some slow paced scenes and wish I could fast forward as I already know what to happen in the next part. I will not spoil the flow of the movie so I only added general info from Wikipedia. 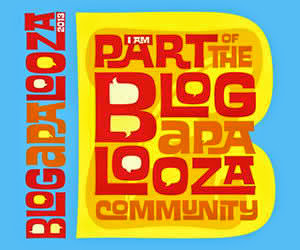 If you haven't seen it it, go and have fun with your family. It's a movie that your whole family will love. It's not only about magical powers, but the magic of believing to achieve greatness! 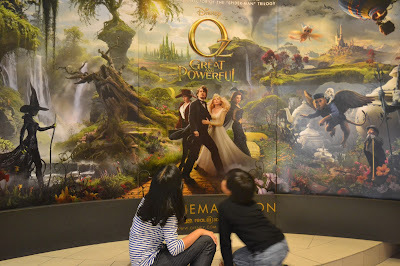 Oz The Great and Powerful shows that ordinary people can achieve greatness and that you don't need to have real magical powers to become a great leader or become the king of your own universe. Oz the Great and Powerful is a 2013 American fantasy adventure film directed by Sam Raimi, produced by Joe Roth, Grant Curtis and Joshua Donen and written by David Lindsay-Abaire and Mitchell Kapner. The film stars James Franco as Oscar Diggs, Mila Kunis as Theodora, Rachel Weisz as Evanora and Michelle Williams as Glinda. Based on L. Frank Baum's Oz novels, Oz the Great and Powerful is a spiritual prequel to Baum's 1900 introductory novel The Wonderful Wizard of Oz and indirectly to the 1939 MGM film, The Wizard of Oz. 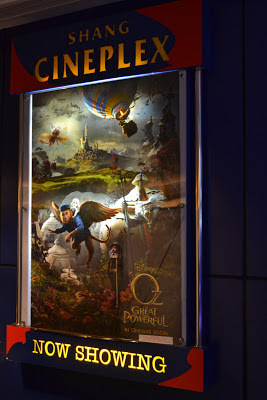 The film was released by Walt Disney Pictures on March 8, 2013, in conventional 2D, as well as in the Disney Digital 3D, RealD 3D and IMAX 3D formats. When Oscar Diggs, a small-time circus magician and con artist with dubious ethics, is hurled away from dusty Kansas to the vibrant Land of Oz, he thinks he's hit the jackpot - fame and fortune are his for the taking - that is, until he meets three witches, Theodora, Evanora and Glinda, who are not convinced he is the great wizard that everyone has been expecting. Reluctantly drawn into the epic problems facing the Land of Oz and its inhabitants, Oscar must find out who is good and who is evil before it is too late. Putting his magical arts to use through illusion, ingenuity - and even a bit of wizardry - Oscar transforms himself not only into the great and powerful Wizard of Oz but into a better man as well. 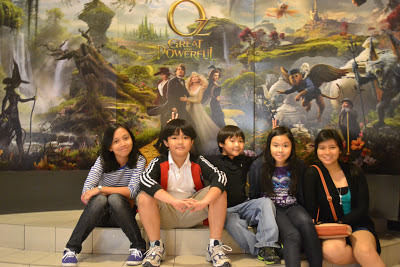 Oz the Great and Powerful special movie screening was sponsored by Nokia Lumia, Abenson and Nuffnang Philippines. 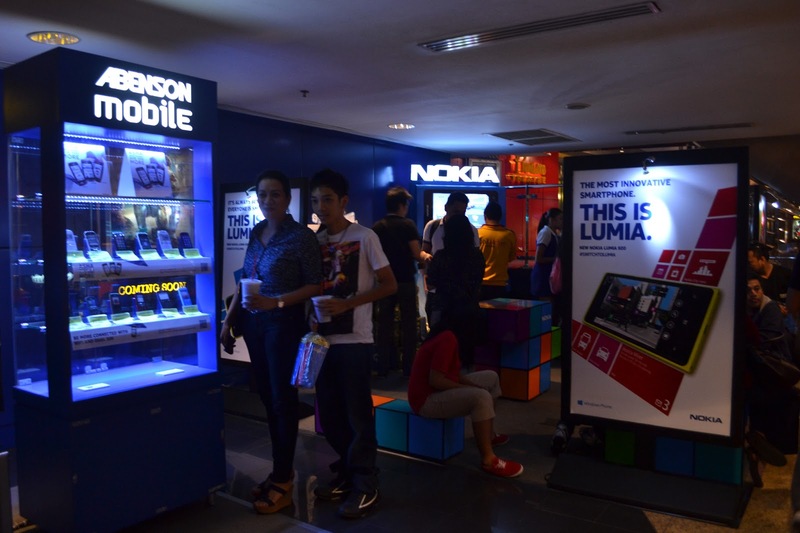 Three winners of Nokia Lumia went home with big smiles. I was wishing I would win a Nokia Lumia too but luck was not on my side last night but luckier though for winning tickets to the special screening. Thank you, Nuffnang, Abenson and Nokia. aba, bat wala kong piktyur dito?